We now have available IPTV hardware guaranteed to work great with your RevelDigital signage. IPTV stands for Internet Protocol Television and allows for streaming video/audio over your own private network. With this hardware you will now be able to embed virtually any external video source directly into your digital signage at any size or position within your template designs. 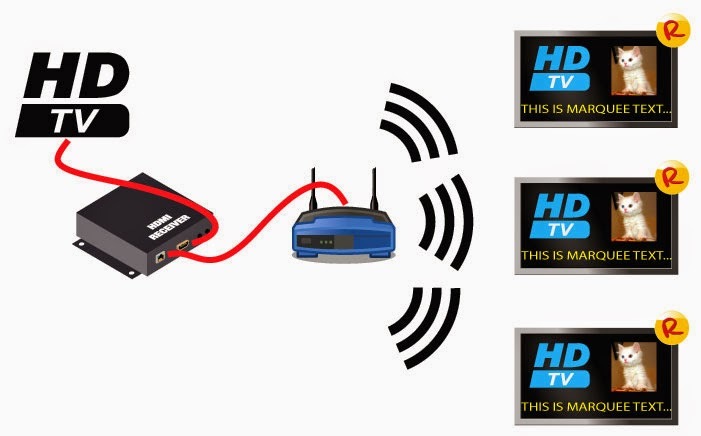 The way it works is very simple, plug any video source into HDMI input on the the IPTV box then connect the IPTV to your existing network router. Once video is streaming over your network just add a TV zone to your digital signage template and you're done. For questions or to purchase hardware, please contact sales@reveldigital.com.